All Nippon Airways was once again voted the airline with the cleanest aircraft cabins by the prestigious SKYTRAX passenger survey. This is the second time Japan’s largest airline has taken home the blue ribbon for cleanliness since 2013, edging out rivals EVA Air, Asiana Airlines, Singapore Airlines and Japan Airlines for the honor. Once again, Asia-based carriers dominated the category of “World’s Best Cabin Cleanliness” in this year’s SKYTRAX World Airline Awards, taking a whopping 16 of the top 30 spots. Not a single U.S. or U.K-based carrier managed to crack the list. The SKYTRAX award for cabin cleanliness is based on passenger evaluations of aircraft tidiness over hundreds of flights. Flyers are surveyed about the condition of seats, tray tables, carpeting, wall panels, windows and of course, lavatories. ANA officials say a ten-point pre-boarding-cabin-checklist and detailed cleaning manuals (complete with photographs) help the carrier to maintain its famously pristine conditions. Meanwhile, Air Canada was recognized for “Best Airline Cabin Cleanliness in North America.” Swiss International Air Lines was voted the cleanest of the European carriers. Skytrax undoubtedly got a lot of good feedback about the ANA lavatories. It’s routine to see the FAs on their flights tidying them up after every passenger use, when they can get in there. Amazing. They should publish the bottom 10. That would be more interesting. Have I missed something here? These results were out last year and this years’ isn’t until June. Good to know — I’m flying ANA first from Tokyo to Chicago next month. I’ve flown them before, but it was a long time ago and I don’t remember what it was like. Let me see: clean lavatories, good food even in economy, comfortable seats with good leg room, attentive service throughout in the cabin; really seems they have everything our US airlines lack! I agree that ANA planes are very clean, but I would not call Skytrax “prestigious.” It is a pay to play scheme with no credibility in my opinion. I love ANA. The planes are indeed clean, and the flight attendants do whatever they can to help passengers. But of course, I would expect nothing less from Japanese standards of customer service. 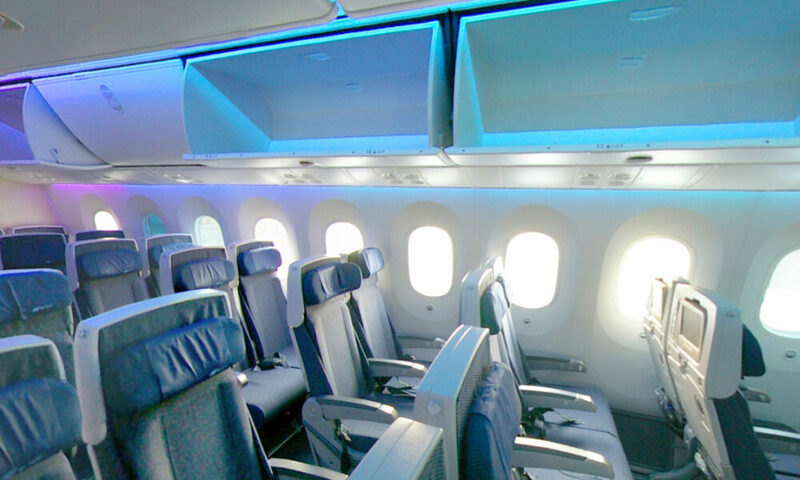 ANA have the cleanest planes because they have the cleanest passengers. Japanese people clean up their own rubbish, and don’t leave their seating area full of junk when they leave. Perhaps more than we think have to do with the type of passengers whom fly these airlines. The carriers can only do so much! Not Delta. Is that because I found a poop-filled diaper in the seatback pocket when i got onboard one time? @PaulMSN you’re in for a treat. While their hardware is getting slightly dated, the service and hospitality is amazing. Way better than BA First (admittedly not saying much).